Coron is a quiet town located southeast of the island of Busuanga and opposite the island of Coron (northern tip of Palawan). 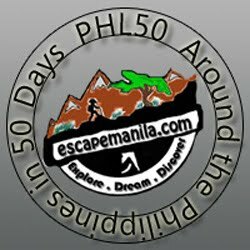 It serves as a gateway to the Calamianes Group of Islands where you'll find unspoiled islands and islets with white sand beaches, crystal clear blue waters, exotic marine life, and limestone cliffs teeming with swallows and palawan red hornbills. Coron Island is actually a gigantic limestone reef. It is a land mass separate and should not be confused with the town of Coron. A law was passed in 1997 declaring the whole island as ancestral domain territory of the Tagbanuas, the native people of Palawan. 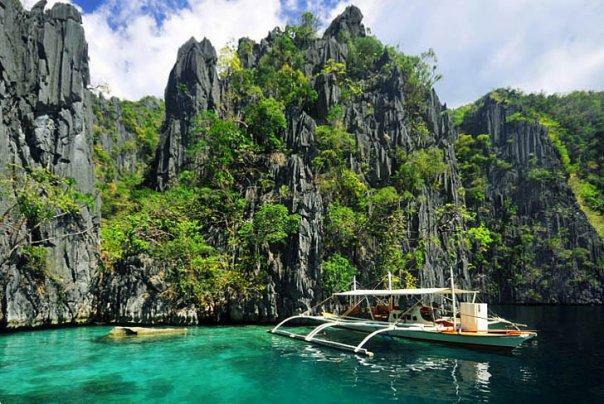 Kayangan Lake is just one of several magnificent hidden lakes you'll find within the island of Coron. A 10 to 15 minute hike via a carved path on a tropical rainforest will bring you to one of the most enchanting and cleanest lake in the Philippines. The water is very clear and calm, a perfect combination of warm seawater and cold mountain springs which reduces its salinity. Diving is the main tourism activity in Coron where twelve World War II Japanese shipwrecks can be found. Most of the wrecks are auxiliary ships sunk by American fighter planes on September 24, 1944. Irako Maru, a refrigeration ship located at the mouth of Coron Bay is probably the best wreck dive in the Philippines. It is quite intact and with good visibility one can enjoy viewing the big groupers, yellow fin and schools of tuna, and sea turtles living around this wreck. Airlines that serves the Manila to Busuanga route are PAL Express, Cebu Pacific, and Zest Air. Average travel time is 40 minutes. From Busuanga airport, you may travel on a scheduled van trip (P150/person) or rent an exclusive van or minibus (P1,200.00 to P1,500.00) to Coron Town which takes about 35 to 40 minutes. However, this will drop significantly after the road cement project is finished by the end of 2009.